In light of the recent increase of crimes on BART, South Bay residents worry some of that violence will come rolling into town when BART arrives in San Jose. Damian Trujillo reports. In light of the recent increase of crimes on BART, South Bay residents worry some of that violence will come rolling into town when BART arrives to San Jose. BART police just announced they are feeing up security on the transit system after a spike in violence crimes, including the murder of Nia Wilson at the McArthur station in Oakland. "We’ve had far too many incidents lately and what we’re hearing from our riders is they want us to do more," said BART spokesperson Alicia Trost. The Milpitas station is located across the street from Great Mall, where there's concern of more car break-ins and muggings. "I feel like if the crime rate is going to increase the crime rate here, it shouldn’t come at all," said Milpitas resident Michael Fang. 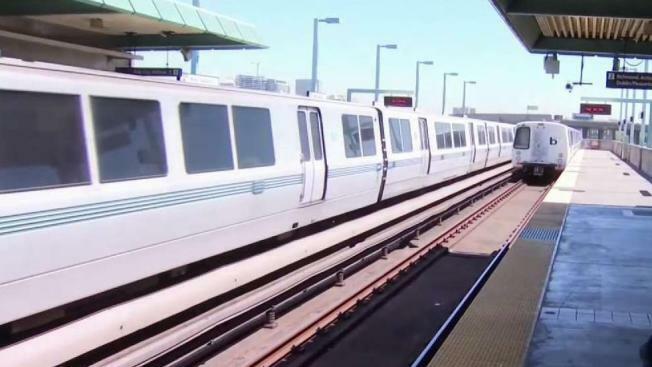 NBC Bay Area reached out to Milpitas police but they did not want to talk about security measures once BART arrives, saying those plans are still in the works. The sheriff’s office didn’t want to comment on BART security either, even though they sent out a news release announcing a Saturday safety exercise with several police agencies where they plan to prepare for the “safe and convenient” arrival of BART. "I personally feel too unsafe to ride it anymore, I used to ride it quite a bit," said Lisa Montiles. "Now I’m not so sure about going on it anymore." BART is temporarily cancelling days off for officers, instead moving each officer to 10-hour shifts, six days a week. BART also said at least some of the 25 new officers it will soon hire will cover the extension to San Jose, meaning few will be left to fill existing holes on the current lines. "Staffing is a top priority for the BART PD and also for the BART district," said BART Deputy Chief Lance Haight. There is still no date on when the BART trains will arrive in the city of San Jose but the estimate is early to mid-2019.